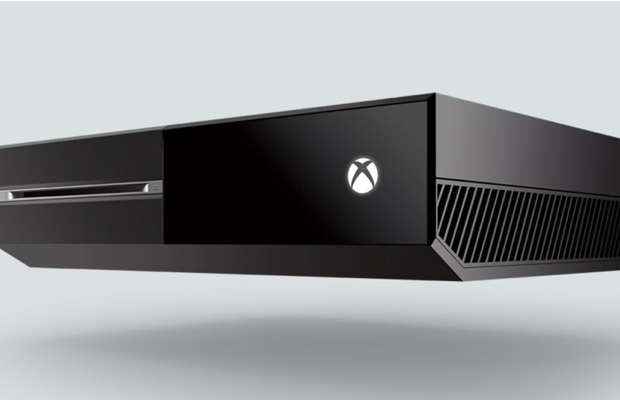 How do you beat the Xbox One? While I know, as a journalist, I should be impartial about the industry, I’m a Sony guy. I have been since the original PlayStation and I’ve never strayed far from the company as my provider of gaming entertainment. Which is why, after the reveal of the Xbox One, I started to get a little nervous. Granted, when I was watching the presentation, I felt pretty good about my loyalty to Sony. Microsoft’s focus on its console’s role as an all-in-one home entertainment system gave me hope for the PS4’s role as the definitive gaming system of the next generation. I, like others, figured that if Microsoft thought its system stood a chance against Sony’s from a technical standpoint, it would have focused much more attention on its performance as a gaming powerhouse, rather than as a TV-tuning, web-browsing, voice-recognizing, center for family fun. Then I saw the Xbox One’s specs, compared to those of the PS4. The fact is, the battle for technical superiority is too close to call. The PS4 may have a slight edge with its GDDR5 Ram, but a few key PS4 features have yet to be announced, and without a real performance comparison, it’s impossible to say whose system is going to be better for (what we can assume is) its primary purpose: gaming. That’s precisely why Microsoft has a leg up on its competition, and why Sony may find itself playing some serious catch-up as we approach the Holiday 2013 release season. Simply put, the Xbox One has more going for it that will expand its reach into a new market, and Microsoft’s presentation stood as a brilliant first step in annexing that unclaimed territory. Voice-activation, interactive gestures, Skype, web browsing and easy access to cable TV are all great features, but none of them are going to shape the purchasing decision of someone who defines him-or-herself as a gamer. That choice will come down to things like technical performance, exclusive games and DLC, and of course, longstanding brand loyalty. Microsoft has shown that it knows the “gamer” market is just one front in the battle for next-generation supremacy. By kicking off its launch schedule with a focus on family entertainment, Microsoft aligned its console as the be-all, end-all of living-room amusement. If Bill Gates’s company has its way, families will ditch their cable boxes, DVD players and Rokus in order to simplify their setup with this single, “futuristic” device. So that brings us to the question posed by the headline; how do you beat the Xbox One? What can Sony do to expand its own market share? Has the company already missed the boat on doing so? After all, the next stop on the tour is E3, where Microsoft is sure to pivot its focus toward its gaming fans for a few days, and where Sony would be foolish not to address the same audience. The biggest question of all, it seems, is: was Sony even prepared for this? Sure, we can expect support for the platforms already hosted the PlayStation 3–Netflix, Hulu, and the like–but the plethora of new features presented by the Xbox One, along with what is sure to be a massive, targeted ad campaign, could prove too high a mountain for Sony to scale in winning over the non-gamers of the world. It’s too soon to really tell, of course. Maybe Sony has a technical marvel up its sleeve. Perhaps a price differential will be the deciding factor, or the next-generation of PlayStation Move will bring with it a new angle on controller-less gaming. As it stands, though, we will need to see something else from Sony, if the company hopes to tap into the customer-base its number-one competitor is already positioned to take advantage of.